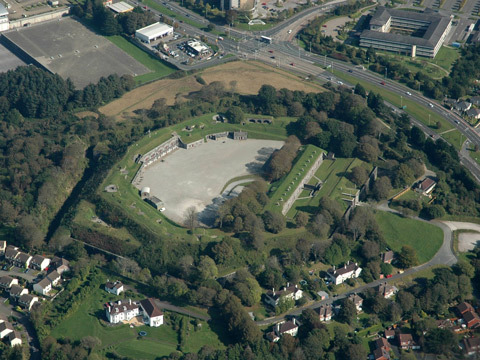 Crownhill Fort is the largest of a ring of eleven forts and batteries (similar in design to those around Portsmouth) that were completed in 1872 to form the northern part of the Plymouth Defences to protect against invasion by land. It is the only one still in original condition and was used by the army until 1986 since when it has been owned by the Landmark Trust. It was built 1860 - 70 and was equipped with thirty guns, a ditch 30 foot wide surrounding a seven sided structure. A Scheduled Ancient Monument. 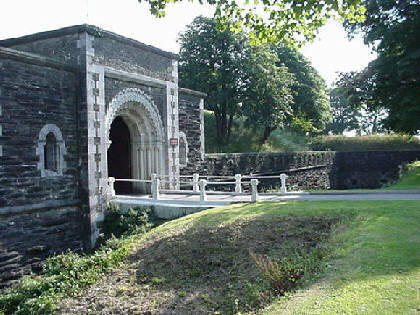 Crownhill Fort is open to the public. The Officers’ Quarters have been restored by The Landmark Trust and can be rented as holiday accommodation. The other forts are Agaton, Woodland, Bowden, Austin and Efford Forts and these were supported by Ernesettle, Knowles, Forder, Eggbuckland Keep and Laira (2) Batteries. A second ring of six forts were planned to the west of the city, but were never started. Laira Battery 1863-71 It was designed as a five sided battery to support Efford Fort with thirteen guns, but by 1885 it had just eight 7" RBLs. There was also an emplacement for four 8" RML guns to the rear. Now a private, industrial park, some of the ditches have been fillled in. 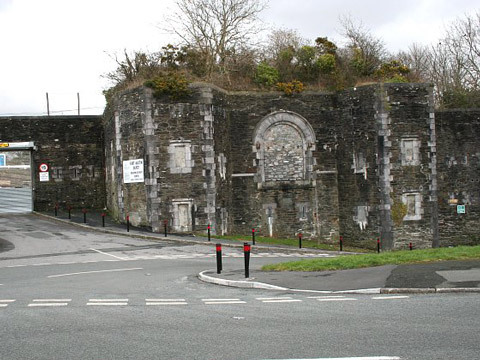 Austin Fort 1860-70 Used by the council, still largely intact. Photo below. 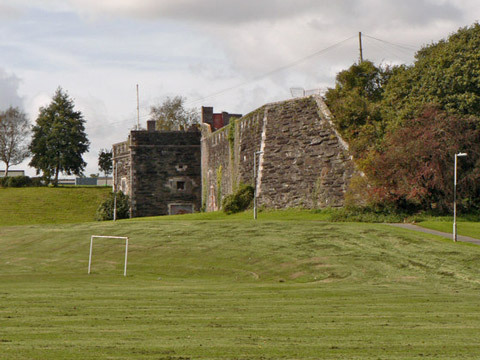 Knowle Battery 1863-70 Next to school playing fields, now a Scheduled Ancient Monument. Photo below. 4 miles north of Plymouth City Centre, off the A386 Tavistock Road.